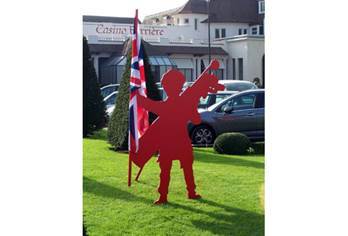 Since the arrival of John Whitley, Le Touquet-Paris-Plage has forged close ties with England, making it the most British of French resorts! From the Prince of Wales to Ian Fleming, golf in Westminster, follow the guide for a "so British" tour and discover the characters and places frequented by our neighbors across the Channel. Give us your opinion on the tours offered by the Tourist Office of Le Touquet-Paris-Plage. Number of people limited to 25. Appointment at the Tourist Office. The schedule indicated is the departure time of the visits! Be on time ! - In case of cancellation by the customer: refund with your reservation ticket no later than 24 hours before the departure of the visit. No refund will be made in case of cancellation within 24 hours before the departure of the visit, whatever the cause of cancellation and in case of no-show. - In case of cancellation by the tourist office: refund with your reservation ticket within 72 hours of departure of the visit. - The Tourist Office can modify or cancel visits depending on the number of participants (minimum 3 people) and weather conditions. - Provide suitable clothing (walking shoes / boots, rain gear just in case).